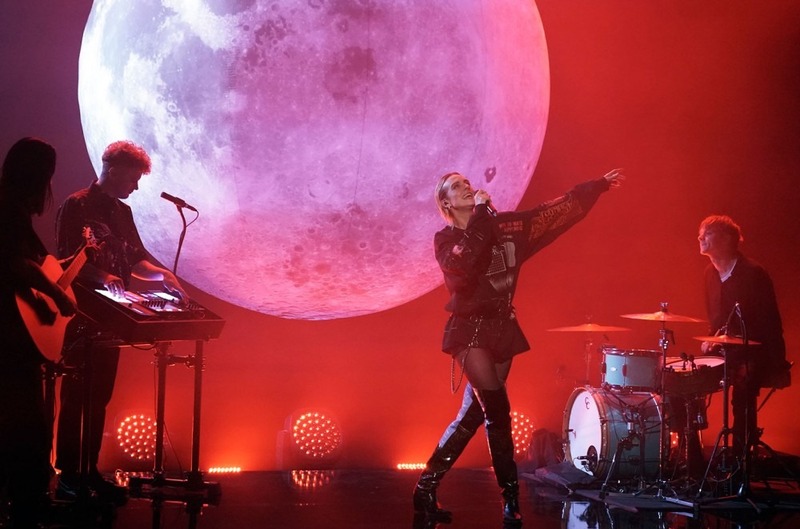 MØ returned to The Tonight Show on Monday night time (Jan. 14) to carry out her hauntingly electro single “Blur,” which seems on her newest album, Forever Neverland. An enormous moon loomed over the Danish singer-songwriter’s set as she started, and bathed in a pink tint, she began singing because the lyrics referenced the grey moon hanging behind her within the monitor's lyrics: “Under the dangerous, dangerous moon tonight/ Or child, is it simply me?/ Or is it one thing within the air we breathe?/ 'Cause I'm feeling dizzy, dizzy." With slicked again platinum blonde hair, and an all-black ensemble that included thigh-high boots, an outsized sweater and a silver chain hanging throughout her hips, MØ’s raspy voice added a layer of depth to the upbeat electro tune. Watch her full efficiency on The Tonight Show under.